Dragonar Academy is a Japanese fantasy novel series by Shiki Mizuchi. 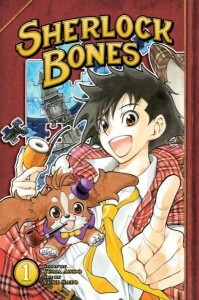 Started in 2010, the series was illustrated by Kohada Shimesaba. 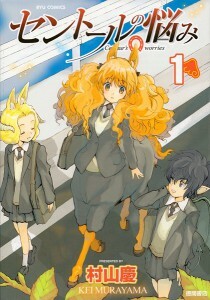 Later it was adapted into a manga series by the artist Ran, and more recently it has begun production as an anime series from C-Station (scheduled for release later this year). Well now Seven Seas Entertainment have announced that the manga series will be released in English for the North American market this month. According to Wikipedia, the plot goes like this: “Learning to ride and tame dragons comes easy to most students at Ansarivan Dragonar Academy—except for first-year student Ash Blake, who is known by his classmates as the ‘number one problem child.’ Poor Ash is the laughing stock at school because, despite his unfashionably large star-shaped brand that marks him as a future dragon master, he has nothing to show for it. His dragon has never appeared. Until now, that is. One fateful day, Ash’s dragon awakes in full glory, but appears different than any dragon ever seen before—in the form of a beautiful girl! What’s worse, Ash soon discovers that this new dragon has attitude to spare, as she promptly informs him that she is the master, and he, the servant.” Got that? No, it’s not another My Little Pony thing. 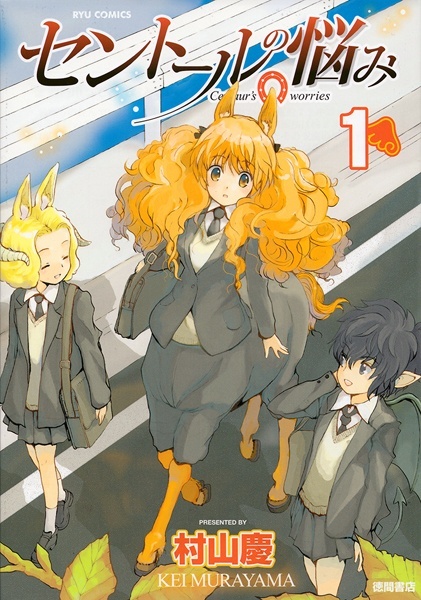 Seven Seas Entertainment is releasing A Centaur’s Life, a new digest-sized black & white manga series written and illustrated by Kei Murayama. It was previously released in Japan as A Centaur’s Worries. “Being a teenager is never easy… especially for a centaur! Himeno is a sweet, shy girl, who like many teens her age, struggles with the trials and tribulations of attending high school. The difference is she’s a centaur; but she’s not alone. In fact, all of her classmates are supernatural creatures, sporting either horns, wings, tails, halos, or some other unearthly body appendage. 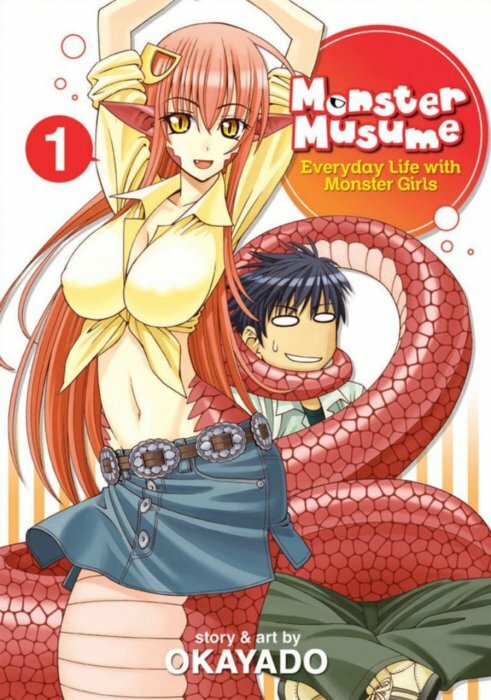 Yet despite their fantastical natures, Himeno and her best friends-the dragon-winged Nozomi, and Kyoko with her spiraled horns-are down-to-earth, fun-loving teenagers who grapple with issues of life and love in a mostly normal daily school setting.” So you say! Look for A Centaur’s Life at your local comic book or manga store, starting in November. After a successful Kickstarter campaign, DMP Digital Manga will be releasing a translated version of Osamu Tezuka’s A-Tomcat this April. Tezuka, as if you didn’t know, was the creator of Kimba the White Lion — and many many other world-famous titles, including of course Astro-Boy. This one-shot black & white paperback is an off-shoot of the Astro-Boy Series. Try to follow this: ” Tsugio is a young Japanese boy who is very fond of reading the Astro-Boy manga series. One day he finds a stray kitten and persuades his family to keep it. But then, after an encounter with two aliens honeymooning on Earth (! 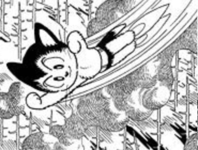 ), suddenly the little cat not only looks like Astro-Boy, but has Astro-Boy’s Powers! Check out more at DMP’s order site. Previews runs a top 100 best selling monthly comics list; they’re obviously a bit behind, as this issue contains November’s. My Little Pony: Friendship is Magic #1 was ranked at 15, making it the most bought book not from DC or Marvel. So, way to go bronies! 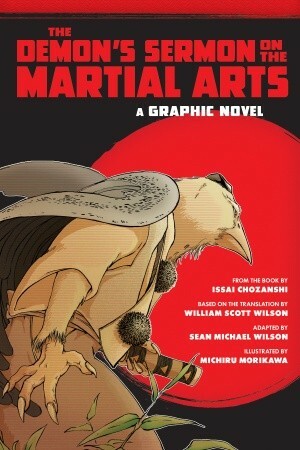 We think it best to let the publisher, Shambhala, explain this one themselves: “The Demon’s Sermon on the Martial Arts is a classic collection of martial arts parables, written by Issai Chozanshi, an 18th-century samurai. The stories, which feature demons, insects, birds, cats, and numerous other creatures, may seem whimsical, but they contain essential teachings that offer insight into the fundamental principles of the martial arts. This manga version, based on Chozanshi’s text, brings these tales alive in a captivating and immediately accessible way.” It’s translated by Sean Michael Wilson, illustrated in full color by Michiru Morikawa, and coming this March in paperback from Shambhala. Amazon has more information. 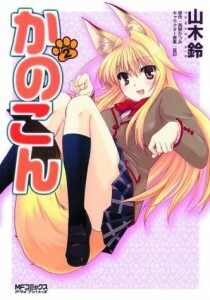 We’ve mentioned the anime and manga known as Kanokon before around here. 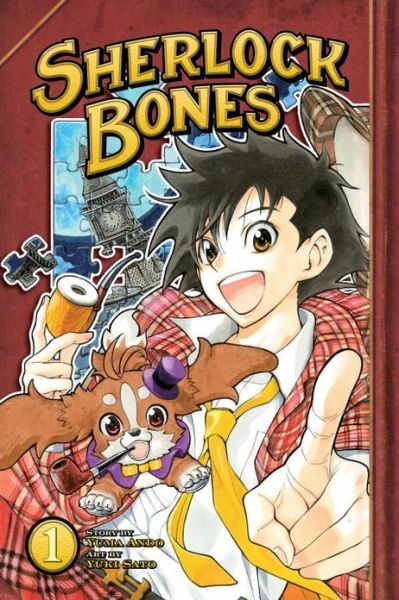 If you need a refresher: “Innocent country boy Oyamada Kouta transfers to a big city high school in his freshman year, and from day one, his life enters a world of crazy . First, a beautiful second-year student named Chizuru professes her love to him, then reveals that she is in fact a fox spirit. Frisky and flirty, she suggestively teases naive Kouta in front of his classmates, embarrassing him to no end. If that wasn’t enough, a gorgeous wolf spirit named Nozomu suddenly transfers to Kouta’s class and decides she wants the hapless country boy for herself. 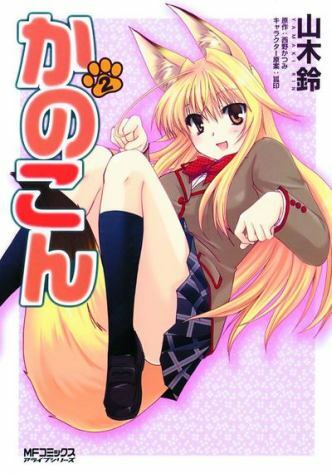 As fox girl and wolf girl vie for his heart, does Kouta have any say in this?” Now comes the news that Seven Seas Entertainment will release the first Kanokon Collected Omnibus (Volumes 1 and 2) this April, written by Katsumi Nishino and illustrated in black & white by Rin Yamaki. You can pre-order it at the Sci Fi Genre web site. 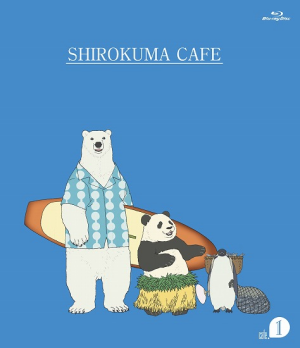 Shirokuma Cafe literally translates from Japanese as Polar Bear Cafe. It’s a manga series created by Aloha Higa, following the story of a little coffee house in Japan — run by a polar bear, and frequented by any number of zoo animals. The three main characters are Polar Bear, lazy young Panda, and lovesick Penguin. (Most of the animal characters in the series are simply naked after their species.) The manga has been running since 2008, but just this year a new anime series based on it came to TV thanks to Studio Pierrot. You can find out more at Anime News Network, or check out an actual episode at Crunchyroll.